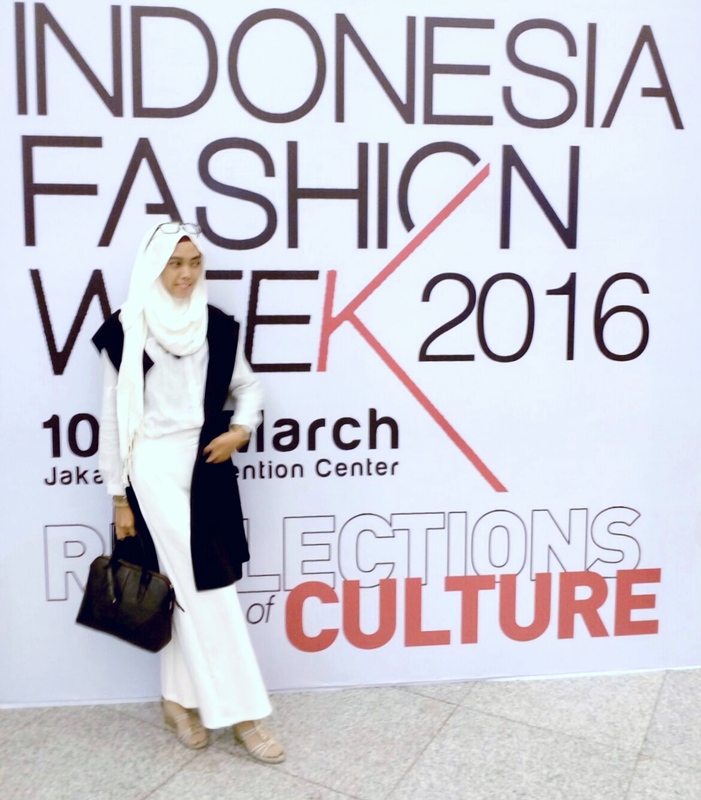 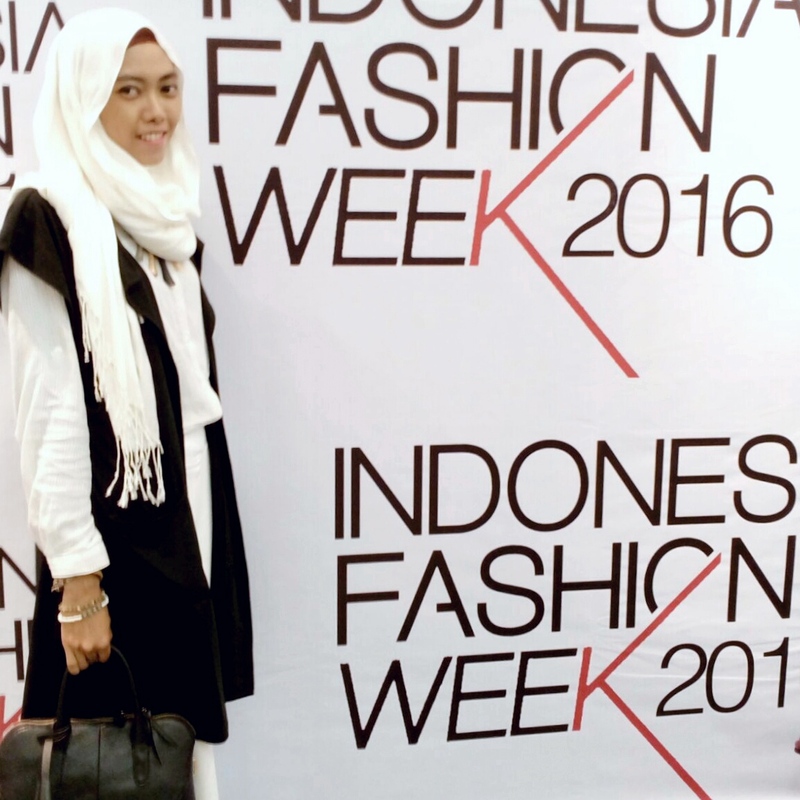 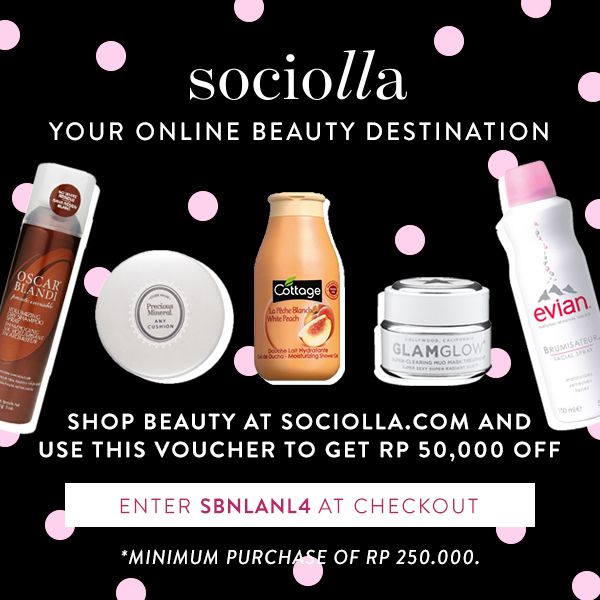 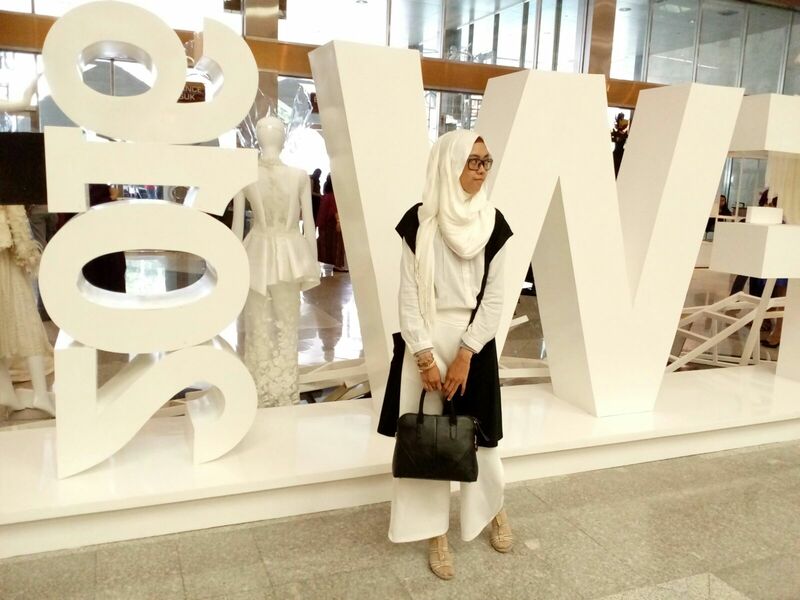 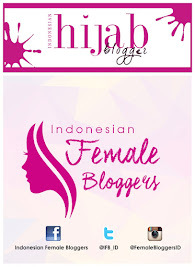 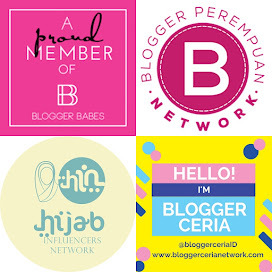 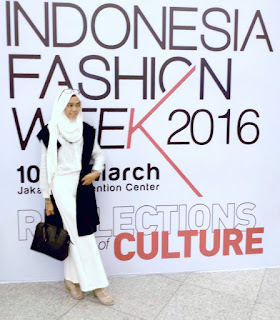 This might be a very late post about Indonesia Fashion Week 2016. 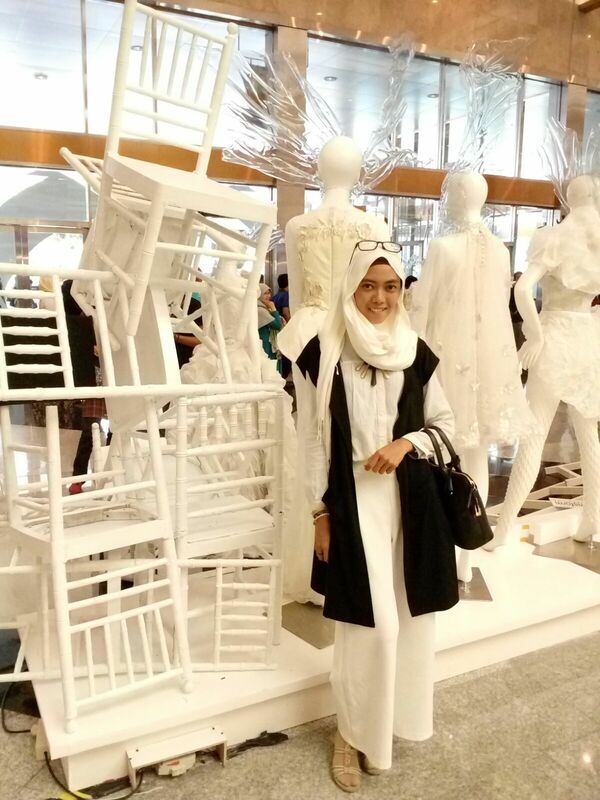 I feel very sorry because of some busy-things that I had -,-"
Overall, it's dominated with white. 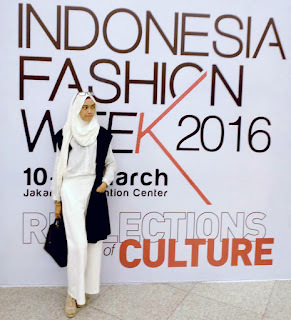 I matched the white shirt with white culotte pants and white pashmina which I feel comfort to wear. 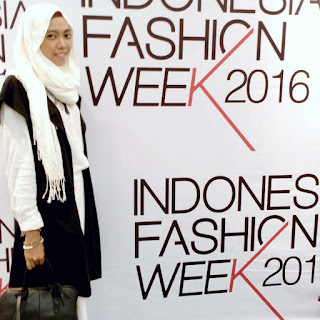 To eliminate a bored look, I took a plain black vest and black handbag. For the shoes, Grey wedges was my choice.